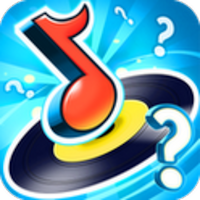 A good afternoon to all of you guys, today I'm writing about the game called SongPop by FreshPlanet Inc. It's not a very new game but it is still a very fun one! For people who do not know about this game, the aim of it is to decipher the song that the game plays in the fastest time. You can play with friends or with strangers. The game features various playlists such as "Today's Hits", "One Hit Wonders", "Love Songs" and more! This ensures that you will never hear the same song twice. So people who like to keep themselves updated on the latest songs or can't figure out that song that you keep hearing but don't know the title of can download SongPop and keep playing! Who knows you may just stumble upon the song that you always wanted to know the title of. New songs such as "Give Your Heart A Break" by Demi Lovato and "Wide Awake" by Katy Perry. After revealing the songs to you, SongPop also offers you the opportunity to buy it from the iTunes Store! What more can we ask for? SongPop is also synchronized to Facebook so you can play with your Facebook friends and discuss about the newest songs and beats! Aside from the new songs, there are classics such as "Aerosmith", "The Beatles" and "Guns N' Roses" to satisfy our need for some classics from time to time. So go and download this game now! I guarantee that this game will give you endless hours of fun and entertainment. Keep on guessing and I hope you will pwn at this game! This is Dennis "the menace" Lee signing off, have a great day and enjoy your games during this holidays!